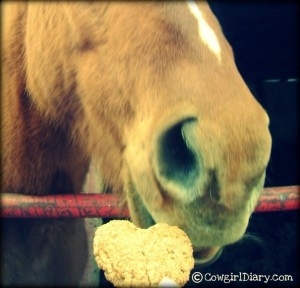 Bake a special treat for your horse! Mix all ingredients into a dough, place a spoonful of dough on a cookie sheet and press the dough into the desired cookie shape. Bake the homemade horse treats and allow the treats to cool before serving.